MAD Magazine is relaunching this week with a new with first issue, which hits newsstands today. 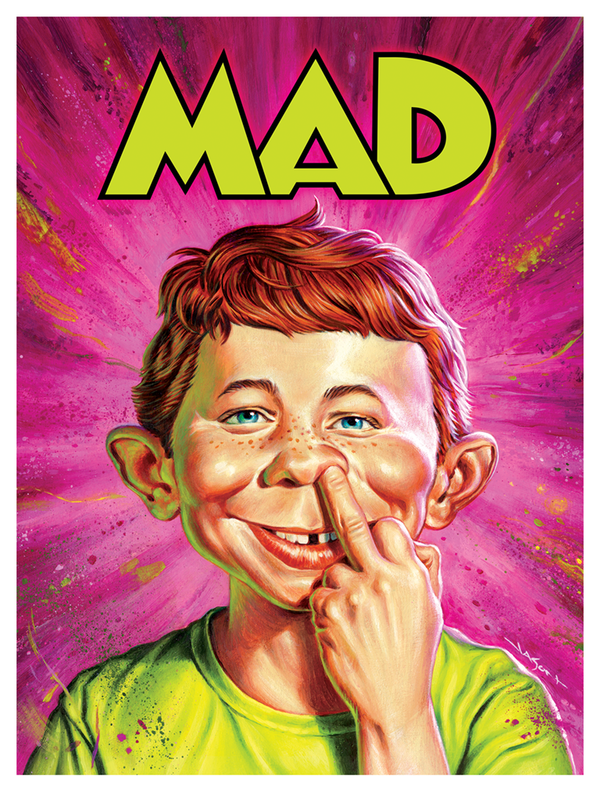 To celebrate MAD Magazine’s return, Mondo has partnered up with the MAD team to release a silkscreen poster of the cover artwork for Issue #1, featuring iconic cover boy Alfred E. Neuman, by acclaimed artist Jason Edmiston! 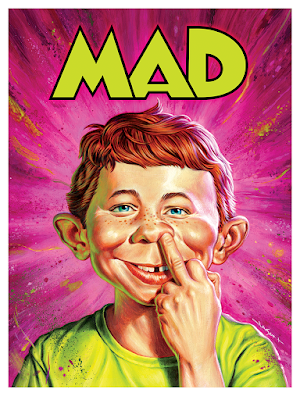 MAD Magazine by Jason Edmiston is an 18”x24” hand numbered screen print. Limited to 175 pieces, this poster will go on sale at a random time today, Tuesday, April 17th, at the Mondo online store for $45.